Fairtrade certified granulated white sugar, made from natural juices and the finest sugar cane. It has been grown, processed and packed in Mauritius, and as it is Fairtrade the local community benefits from the Fairtrade premiums and fair wages. It has been packed by Craft Aid which is a fair trade business that creates employment for the disabled and disadvantaged. Suitable for vegans and vegetarians. May contain soy and/or gluten. Nutritional Information per 100g: Energy 1700kJ, 400kcal, Fat <0.1g, of which saturates <0.1g, Carbohydrate 99.9g, of which sugars 99.9g, Protein <0.1g, Salt <0.03g. 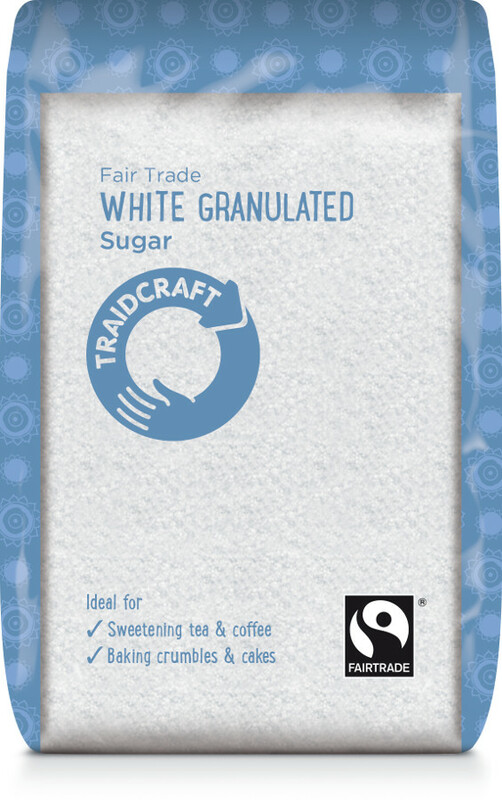 The Traidcraft Fair Trade White Granulated Sugar - 500g product ethics are indicated below. To learn more about these product ethics and to see related products, follow the links below. 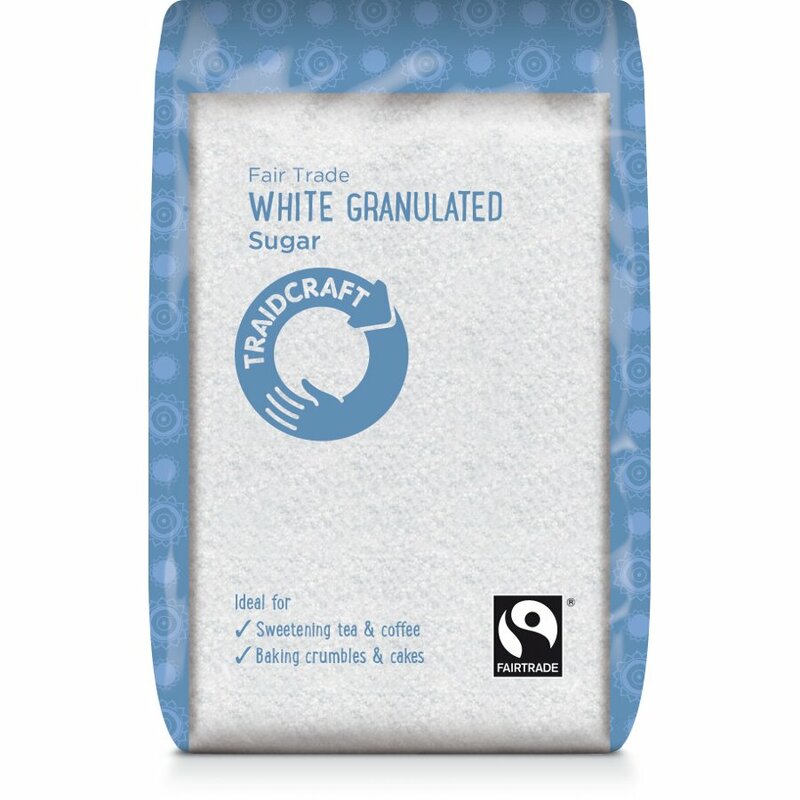 There are currently no questions to display about Traidcraft Fair Trade White Granulated Sugar - 500g.